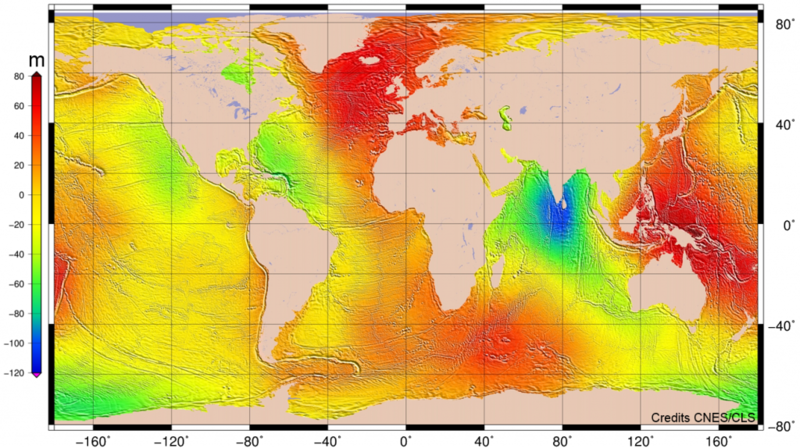 The Mean Sea Surface represents the sea level due to constant phenomena. It is the addition of the geoid and the Mean Dynamic Topography (that includes the permanent stationary component of the ocean dynamic topography). on short wavelengths, the heterogeneous distribution of matter concerning earth’s surface layer and ocean’s bottom topography, that implies geoid undulations of several metres. A Mean Sea Surface (MSS) represents the position of the ocean surface averaged over an appropriate time period to remove annual, semi-annual, seasonal, and spurious sea surface height signals. A MSS is given as a grid with spacing consistent with the altimeter and other data used in the generation of the grid values. 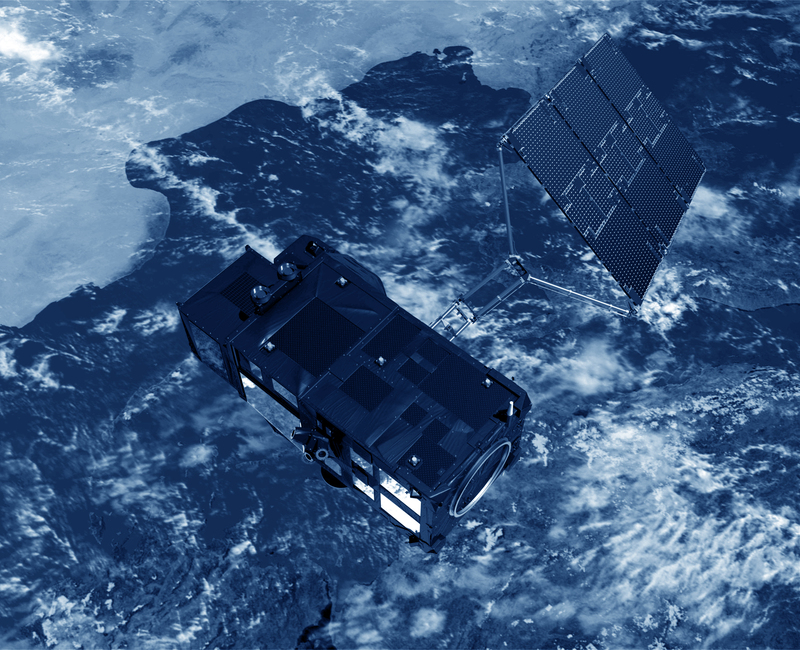 The MSS grid can be useful for data editing purposes; for the calculation of along track and cross track geoid gradients; for the calculation of gridded gravity anomalies, for geophysical studies; for a reference surface to which sea surface height data from different altimeter missions can be reduced, etc.Longer time spans of data that become available in the future, along with improved data handling techniques could improve the current MSS models. Care must be given to the retention of high frequency signal and the reduction of high frequency noise.